Telecommunications provider, Flow, on Thursday launched a new campaign, which it says will give its customers more data at a lower price. 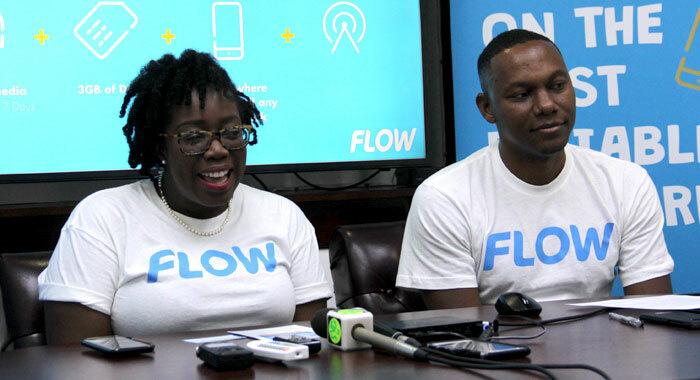 Country Manager of Flow, Wayne Hull, said the campaign will also ensure that the company’s customers are always connected to the major social media networks. “Today, we launch a new brand and campaign called ‘For The Moments That Move Us’,” he told the media in Kingstown. 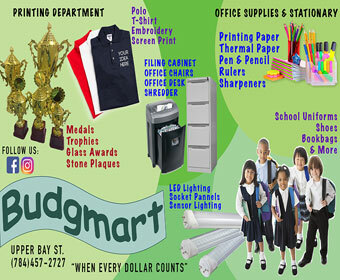 Hull said that every day the company’s network enables thousands of customers to share their memorable moments. He said Flow’s customers want to call anyone, have unlimited access to social media, unlimited text messages and “simple plans with no surprises in charges and billing to their accounts”. That was exactly what Flow is delivering to its customers, Hull said, adding that the company is no longer talking about megabits. “We are going to be the gigabits company,” he said, adding that the announcement is historic in terms of the telecoms landscape in St. Vincent and the Grenadines. Hull said that his company is giving customers much more data with its new plans. He said that a one-day plan would begin with one gigabit of data and will move all the way up to 10 gigabits of data in the 30-day plan. 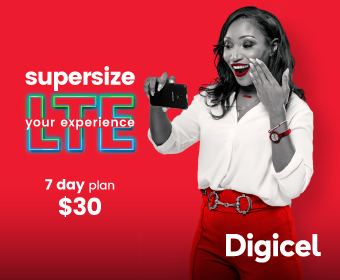 The one-day plan goes for EC$3. The plans are available from today (Friday) and will be branded as “Always On”. They come with unlimited social media messaging on the most popular social media platforms, namely, Snapchat, WhatsApp, Instagram, Facebook, and Twitter (SWIFT). The plans will include voice minutes to call any local network and a key feature of the plan is where the customer would be connected to the network throughout the duration of the plan. Hull said a big part of the campaign is that the prices are lower than what the company currently has in market. Hull said that regarding the refresh of the brand, “You would see a refreshed look and feel in our stores, including our kiosks, our contact centre help desk and our new and improved website and My Flow self-care app. “Those platforms would be rebranded, they would be upgraded to serve the customers and give a better customer experience. “Effectively, we are bringing back the mojo to our customers with this brand refresh and this new customer proposition and it is really a great time for employees. We are determined to bring a level of passion to our customer service that would require every single employee to be focused on delivering the best experience to our customers.